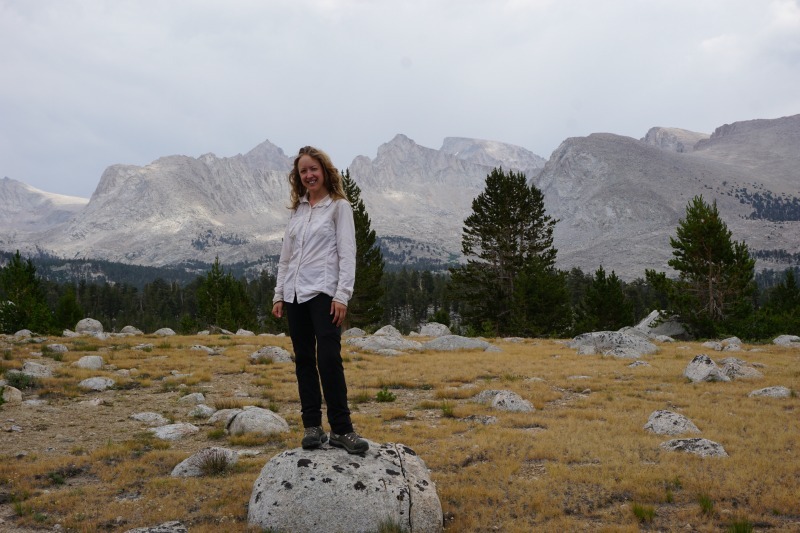 Kristin Hanes shares her experience hiking the John Muir Trail in California. 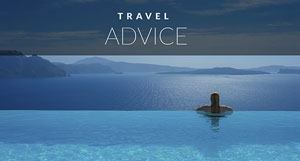 How to pack, what to eat and what she did wrong. This is the perfect guide for planning your hike. “The ants go marching one by one, hurrah, hurrah, the ants go marching one by one hurrah, hurrah!” The song pounded relentlessly through my head as I concentrated on putting one foot in front of the other. My backpack dug into my hips and shoulders. Large boulders and talus rocks littered the dusty path. I knew if I looked too far up the trail, I might turn around. Sit down. Give up. It was the fourth high altitude mountain pass of the week, and I was exhausted. One foot in front of the other. Breathe in and out. Take a break, turn around to survey the scenery, and weep at its remarkable beauty. Keep walking and hiking, day in and day out, until you feel like you might break. That’s what it’s like hiking the 221-mile John Muir Trail through California’s Sierra Nevada. The entire John Muir Trail is 220 miles but we started further south and ended about 20 miles early. In total, we still did 230 miles. The trail is well-marked but I think people still need to bring along a map. You can purchase a map of John Muir Trail on Amazon. We used waterproof maps by Tom Harrison. The John Muir Trail is one of the most brutal and most rewarding things I’ve ever done in my life. It took us 22 days of hiking from dawn to dusk through some of the most incredible mountain scenery in the United States. 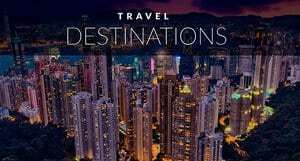 Think lush, hidden valleys, crystal clear creeks, bright blue tarns, and stunning alpine vistas. Most of the trail is over 10,000 feet in elevation and includes six mountain passes, one of which tickles 14,000 feet. 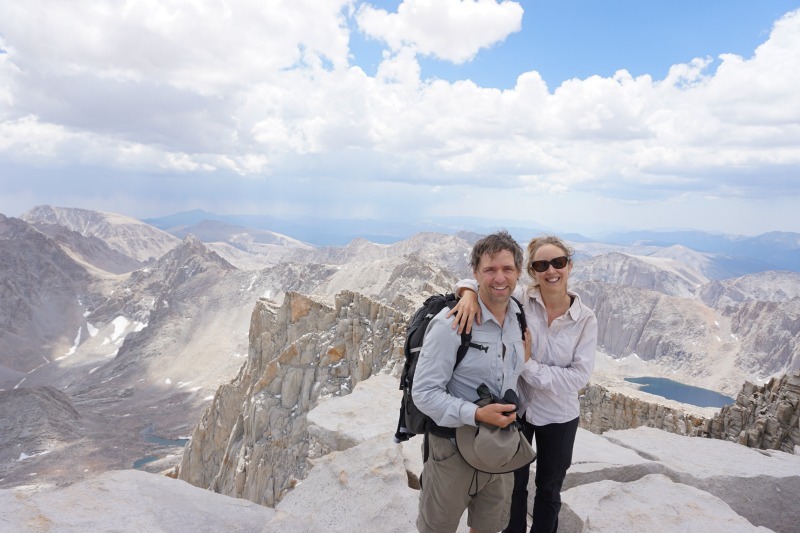 And if you want (and we did), you can summit Mount Whitney, the tallest mountain in the contiguous United States at 14,505 feet. The John Muir trail is not for the faint of heart, or from people who suffer altitude sickness. I took high altitude medicine for three days before tackling the trail, and five days before summiting Whitney, and I still threw up and almost passed out on my descent. But what I learned on this hike is this: the body adapts, the mindset is crucial, and finishing a thru-hike of this magnitude is a life-changing experience. I’ll never be so fit and so tuned in with nature as I was at the end of my hike. Would I do it again? Maybe. Would I recommend others do it? Definitely. Sound like something you want to do? Here’s how to tackle the trail. Getting a permit is difficult due to the sheer volume of people wanting one! 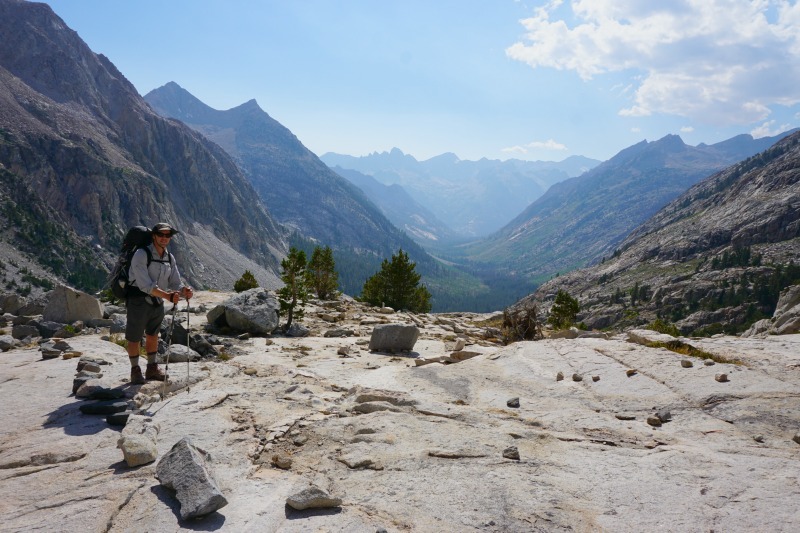 Landing a permit to hike the John Muir trail is one of the hardest parts about this hike. People from all over the world fly to California to tackle this winding mountain trail far from civilization. What that means is this: You are competing with thousands to get a permit. The most popular route to hike the John Muir Trail is from Yosemite Valley and exiting through the Mount Whitney Portal. To deal with the influx of demand, Yosemite only allows 45 hikers per day to exit the park via the John Muir Trail. That means the number of permits is very limited. Even though most people want to start from the valley floor, there are several other trailheads within Yosemite where you can begin your hike. 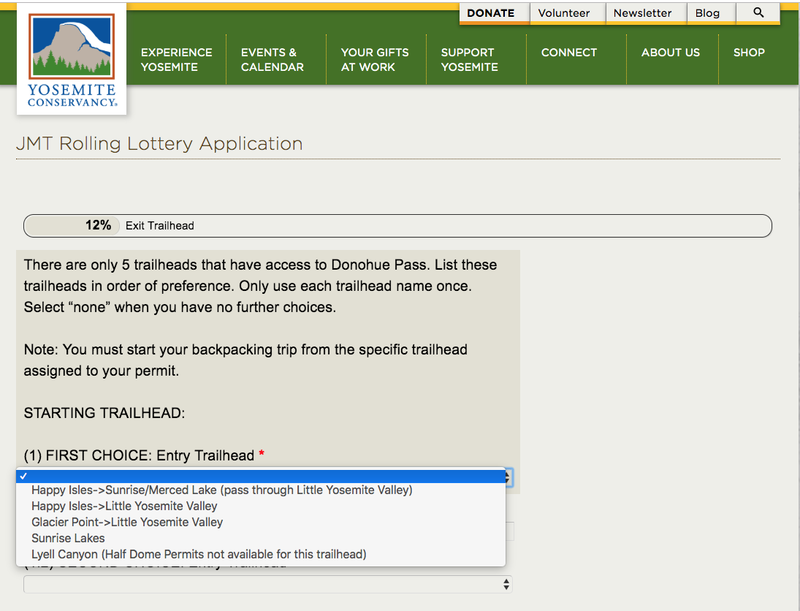 When applying, it’s good to put several trailhead options on your permit. Choices from Happy Isles to Glacier Point or Sunrise Lakes and more. Another popular way to get a permit is to switch directions entirely and hike from south to north. We tried every day for a month or two for a permit out of Yosemite, but when we failed, we picked up a permit from Cottonwood Meadows northbound. That meant we had two full days of hiking before we met up with the John Muir Trail, and one extra high mountain pass. 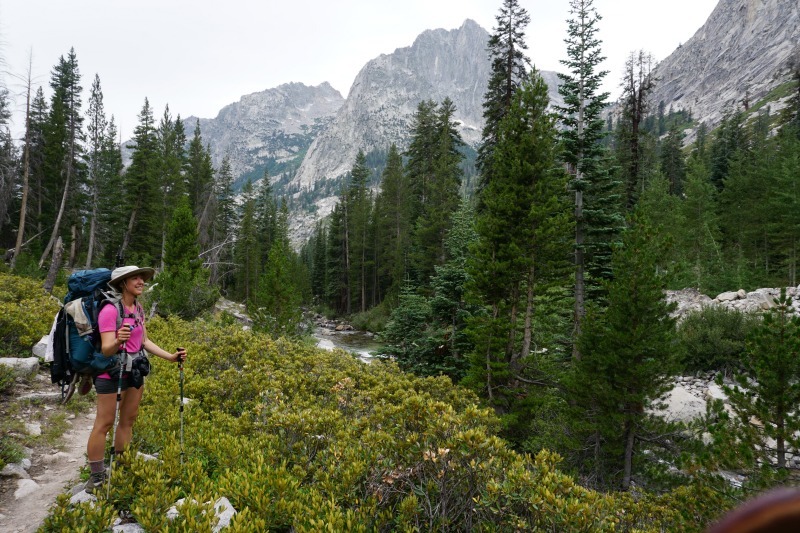 If you don’t want to hike the entire trail, you can enter halfway, or three-quarters of the way, from one of many trails that joins up with the John Muir Trail. The one big mistake I made when packing for the John Muir Trail is this: I did our food all wrong. We started our hike carrying 12 days of food, and all of it didn’t fit inside our bear-proof containers. That meant we had to hike far enough every day to find campsites with bear boxes. Plus, I picked all the wrong food. Things like heavy packs of tortillas, rolls of sausages, hard cheese. When carrying this much food, it’s important to go freeze-dried. Every one of our meals should have been freeze-dried for this 12-day stretch. I should have been meticulous about our pack weight. I am embarrassed to say that when we started our hike our packs must have weighed 65-pounds each. That is way too much weight when hiking over mountain passes in high elevation. We scheduled two food drops for our hike: one at Muir Trail Ranch after 12 days of hiking, and another five days later at Reds Meadow. If I did this hike again, I’d schedule a third food drop so I wouldn’t have to carry so much food at a time. Pack weight is everything when you’re clocking 12+ miles per day with 6,000 feet of gain/loss. Another handy food tip is to bring a variety of foods. You’ll get bored of the same flavor of protein bars day after day. I remember how excited I was when a couple of hikers gifted us two different flavors of ProBar. Those bars tasted like heaven! We were also lucky to be gifted some dried apricots and chocolate from another group of hikers and only walked about 10 steps before scarfing the treats down mid-stride. 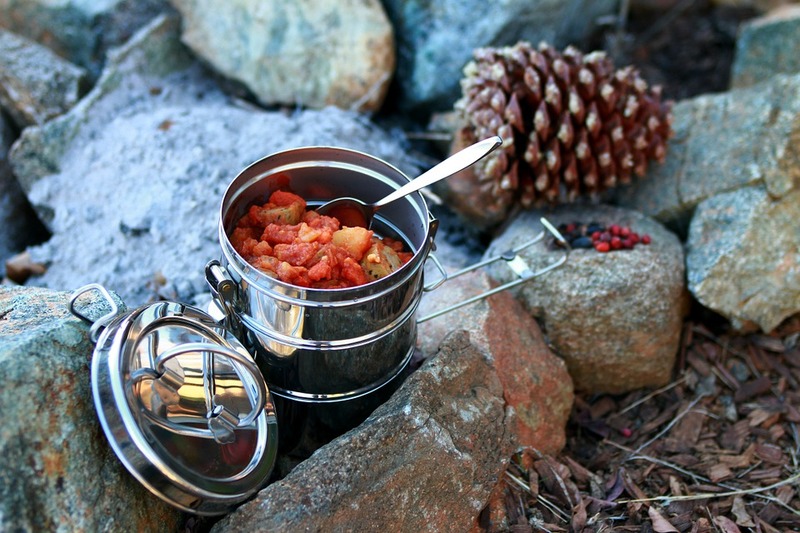 Change things up when it comes to your backpacking food. And remember to bring some fun treats like peanut butter M&Ms or Snickers bars to perk you up when you’re feeling down. In each food drop, I packed some smoked salmon that we'd eat right then and there. It was AMAZING. Dinners: I made my own freeze-dried meals, but I also bought Mountain House meals. We also had ramen, hot tea, and hot apple cider. I'd recommend bringing a little container of olive oil for extra calories with dinner. You will be drinking out of lakes, rivers, and streams on the John Muir Trails, so it is important to pack a water filter system. We used the Sawyer Squeeze System, but feel free to recommend any water filtration product. It weighs just 3 ounces, and we filled up the pouch with water from the backcountry and then squeezed it through the filter for clean drinking water. 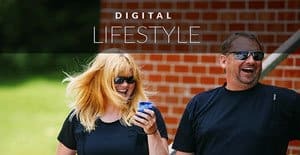 Dave and Deb recommend the SteriPen. You can watch the video to see how it works. You can choose any water purification that works for you. 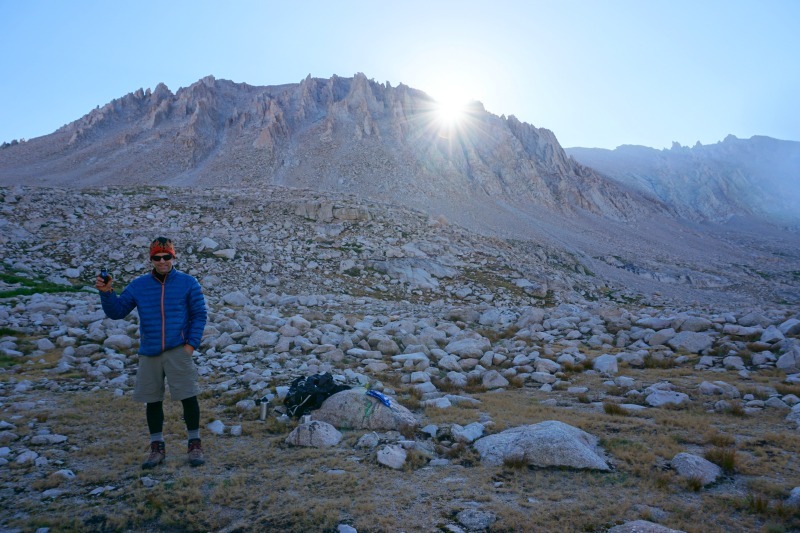 It’s very important to pack clothes and gear for all types of weather when hiking the John Muir Trail. High mountain weather can go from sunny and warm to raining in minutes, and some thru-hikers have encountered snow at the higher elevations. We did “laundry” every night, which meant “washing” our clothes in a nearby stream. Keep in mind we never used soap in or near the water! We just dunked and scrubbed our clothes using fresh spring water, then hung them up to dry on a clothesline overnight. Sometimes, we hiked with our wet clothes dangling from our backpacks, letting the Sierra sunshine dry them. I would like to mention something about sun clothing. 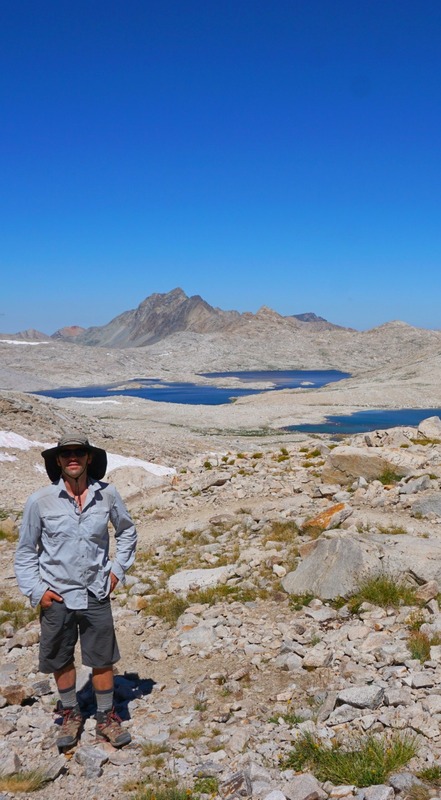 Every day hiking the John Muir Trail, I wore long pants, a long-sleeved shirt and a sun hat to protect my skin from the brutal high-altitude sunshine. This also meant I hardly ever wore sunscreen. It’s great to hike without sunscreen as much as possible as sunscreen can harm the delicate ecosystem if it gets in the water. If you do need to wear sunscreen, wear a physical barrier sunscreen that contains zinc oxide rather than a chemical sunscreen. About ten days into our hike, we decided to trudge 8 miles out of the way down to Vermillion Valley Resort for a much-need half-day off. We drank beer, ate burgers, and chatted with other thru-hikers. We did laundry and took a shower. What I remember is this: the scent of the laundry detergent smelled bad. Deodorant smelled bad. So did shampoo and conditioner. The smell of all those washed clothes in my tent almost made me gag. We’d become so accustomed to the scents of nature that the scents of “civilized” humanity became almost unbearable. I also remember sleeping in the tent that night, jumping when I heard a car engine start. I hadn’t heard a car engine in almost two weeks! Car doors slamming also startled me. Our senses had become finely tuned the longer we spent in nature. 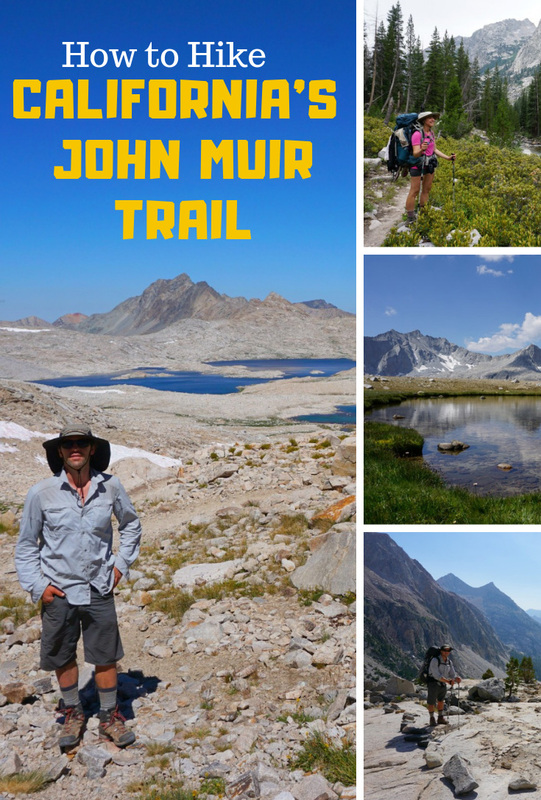 When we finally finished the John Muir Trail, I was in shock. There were too many cars driving too fast. Too many loud tourists smelling of perfume, lugging cameras. Listening to music on the car stereo felt alien. I wasn’t ready to re-enter civilization, the crush of humanity. The first time I ran on a treadmill after finishing the John Muir Trail, I cried. Why should I be exercising this way when there were mountain passes and forests and alpine lakes? Being in the “real world” felt wrong and unnatural after the pristine beauty of nature. 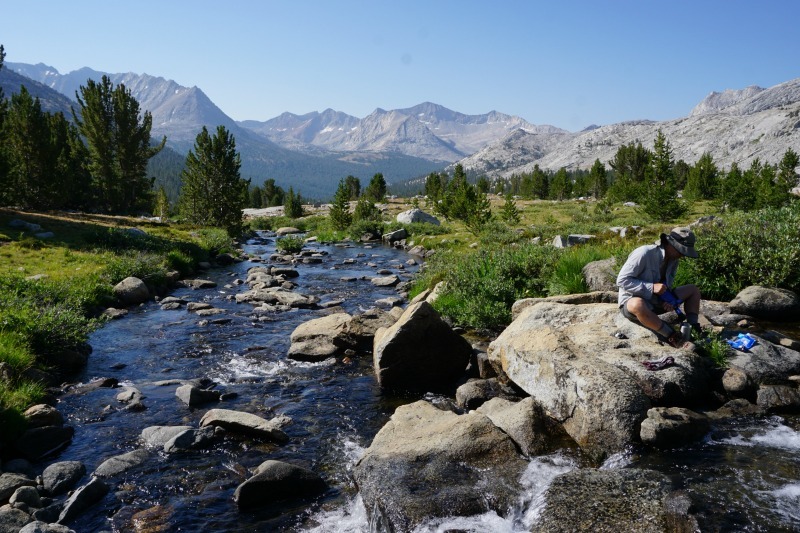 What I do know is this: hiking the John Muir Trail will change you. In what way, I am not sure. But you will walk away from that trail knowing something new about yourself. You’ll have finished one of the most challenging thru-hikes in the world. And you’ll have new knowledge about the world, nature and your own powerful drive to succeed. Are planning to hike the John Muir Trail? 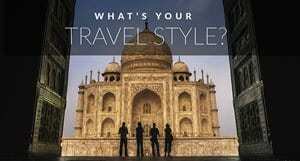 Why not save this article to Pinterest for future reference? The John Muir Trail is in the Sierra Nevada mountain range of California. The trail goes through some of the country's most famous national parks. Yosemite National Park, Ansel Adams Wilderness Area, Sequoia National Park and Kings Canyon National Park are all in sections of the John Muir Trail. The John Muir Trail Length is 211 miles from end to end. It ends at Mount Whitney, the highest peak in the continental United States standing at 14,496 ft. (4,418 meters). Best time to hike John Muir Trail – According to the Pacific Crest Trail Association, the trail is accessible from July through September. It is possible to start earlier in June and go to October, but you will have increased risks of snowfall that can be dangerous. Kristin Hanes is a journalist and writer who lives on a sailboat and in a van in the San Francisco Bay area. She’s an avid outdoorswoman and beer lover who blogs about campervans, RVs, sailboats and tiny homes at The Wayward Home. You can follow her on Instagram, Facebook and YouTube. 4 Responses to "How to Hike California’s John Muir Trail"
Like any great adventure, planning is paramount. In this article, you will find resources to give you the best hike of your life. thank you for sharing. Have been planning to head out for a hike from quite some time now. California is one beautiful place I didn’t want to leave when I was in Santa Barbara in 2006.